I write this a matter of days since the General Election, which has resulted in considerable political upheaval just when farming and the country as a whole needs stability. Michael Gove is the new Defra Secretary and if his performance as Education Secretary is anything to go by, we have work on our hands. Pushing agriculture up the political agenda in such times of uncertainty is vital, especially with Brexit looming and still no clarity on trading positions. 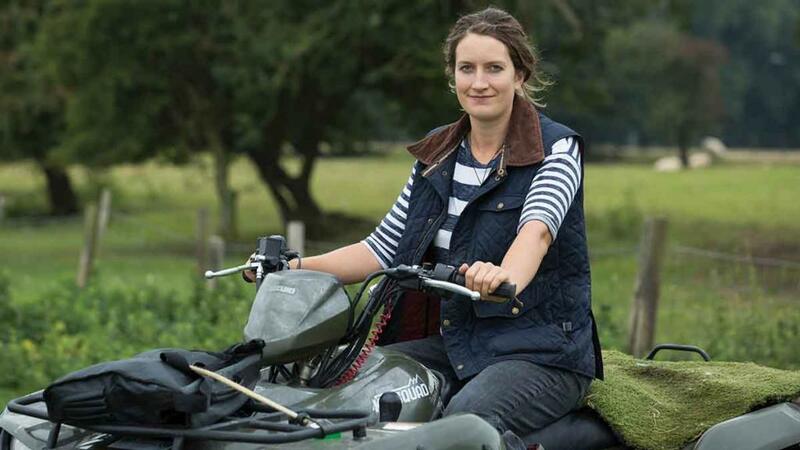 Speaking up for our agricultural sectors could never be more important which is why, when I accepted an offer to speak on the BBC Radio 4 programme The Bottom Line about the future of farming and Brexit. Cue much self-doubt and talking myself out of it, but in the end I was glad of the chance to shed a positive light on the great work UK farmers do for food production and the environment. I hope it came across well, despite my nerves. I have been busy shearing at home and for a local contractor, pleasingly seeing my tallies improve having been on my third or possibly fourth Wool Board course with Alan Derryman and Matt Smith, who could quickly point out some glaring areas for improvement. I enjoyed competing at the Devon County Show and the Royal Bath and West Show, with varying degrees of success in the machines, blades and woolhandling. Just a few weeks until we start haymaking at home and with the crops thickening up nicely now, I will make the most of being out and about shearing while I can. Any days off shearing have been spent making sure my flock at home is protected against flystrike so there cannot be problems when I am away. Lambs will need their first drench soon and I will probably vaccinate them against clostridial diseases too. I normally only do the ewe lambs but as I have lambed a bit later and they will likely be at home longer until I sell them, it seems wise to vaccinate everything. My ewe tegs are looking great and I will need to sort those I am retaining and enter the others for autumn breeding sales at Ashford market. Wishing you all the best for the busy summer ahead.